Hibiscus Plc provide a range of Legislation Posters to assist with the training of ADR drivers and employees who work with chemicals and hazardous substances. 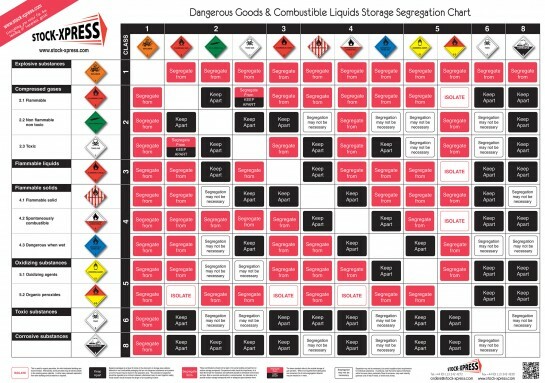 This chart contains general recommendations for the separation, segregation and storage of different classes of packed dangerous substances. If you store a large range of multi-hazard stock, it is wise to assess each substance and store it accordingly. The HSG71 Segregation Chart is an invaluable aid which gives recommendations for the segregation of dangerous substances according to their hazard classification. It uses the classification system described within the Carriage Regulations which is a globally recognised system, relatively simple to operate and well understood by industry. It uses nine classes and where a material has more than one classification there is an agreed hierarchy to determine the most appropriate classification. 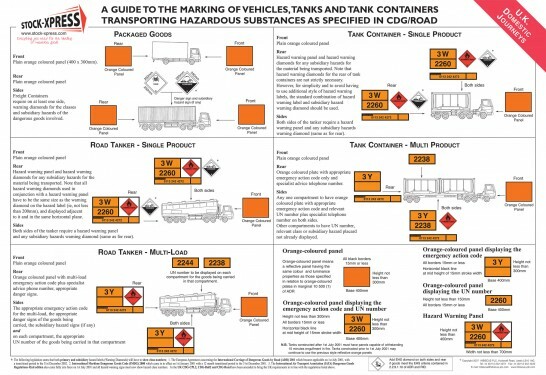 A comprehensive guide to the marking of vehicles, fixed tanks, portable tanks and tank containers carrying dangerous goods. Ideal for assisting with the training of ADR drivers and anyone involved in the transportation of hazardous substances by road. 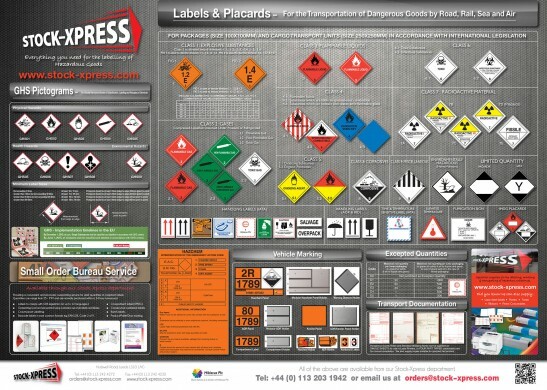 To assist with the training of ADR drivers, our Labels and Placards Wall Chart includes essential information about GHS Pictograms, Warning Diamonds, Hazchem Labels and Panels, Transport Documentation, Placards and Handling Labels. Buy directly online at Stock-Xpress. Call us on 0113 203 1945 or email: enquiries@hibiscus-plc.co.uk for electronic copies.